Bed and Breakfasts near Eastbourne Tennis for 1 night from Sat Apr 20, 2019 to Sun Apr 21, 2019 within 25 miles, in an Average Nightly price range of £1 to £200. Sterling Apartments is located in the Eastbourne City Centre of Eastbourne, close to Eastbourne Pier, Congress Theatre and Eastbourne Borough Council. Complimentary WiFi is available. All units include a fully equipped kitchen, allowing guests to prepare their own meals. A continental breakfast can be enjoyed at the property. Eastbourne Miniature Steam Railway Adventure Park is 4.1 km from the apartment, while Sovereign Harbour is 6 km from the property. The nearest airport is Gatwick Airport, 75 km from Sterling Apartments. 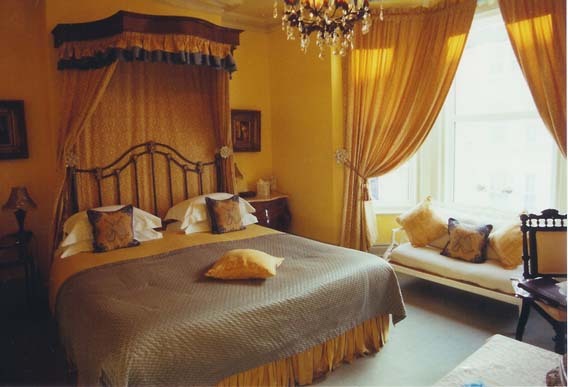 The 300 year old George Guest House provides comfortable accommodation for visitors to the historic town of Battle. Visit the place where English history changed forever. Walk over the battlefield where William the Conqueror stood. We are easy to find in the heart of Battle a 5 minute taxi ride from the train station and only a 2 minute walk from Battle Abbey so come and visit soon. br / br / br / br / Stay in one of our brand new refurbished comfortable en-suite rooms. All rooms are booked on a room only rate and no breakfast is included in the booking rate. There are many cafes and great places to eat within a few minutes walk. br / br / br / br / Battle itself provides a great choice of restaurants and shops while the seaside towns of Hastings and Bexhill-on-Sea are less than 20 minutes drive away. Battle station also provides an excellent rail link to London with direct access from Charing Cross and London Bridge stations. Please note that the hotel has no lift. We are easy to find in the heart of Battle a 5 minute taxi ride from the train station and only a 2 minute walk from Battle Abbey so come and visit soon. br / br / br / br / The staff at The George Guest House look forward to offering you a warm welcome whether your stay is for business or a relaxing break. br / br / We have private off-street parking - a real bonus in a busy town- and modern facilities to make your stay as pleasant as possible. 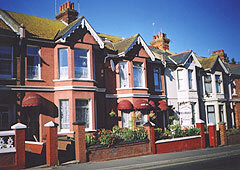 They include free Wi-Fi access tea & coffee making facilities TV and en-suite bathrooms in all bedrooms. br / br / br / br / The hotel has a No Smoking policy in all public areas and bedrooms.